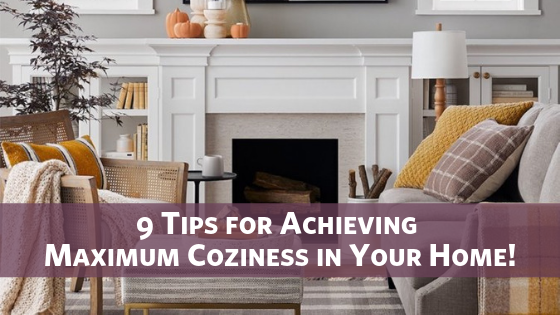 9 Tips for Achieving Maximum Coziness in Your Home! As fall continues and the days become shorter, it’s too tempting to just hibernate until spring. But there is, indeed, a joy to be found in the quieter months of the year. Plush throws, sheepskins, and cushions make for a much more inviting space. Cover your surfaces in as many luxurious fabrics and pillows as you can find and snuggle down.